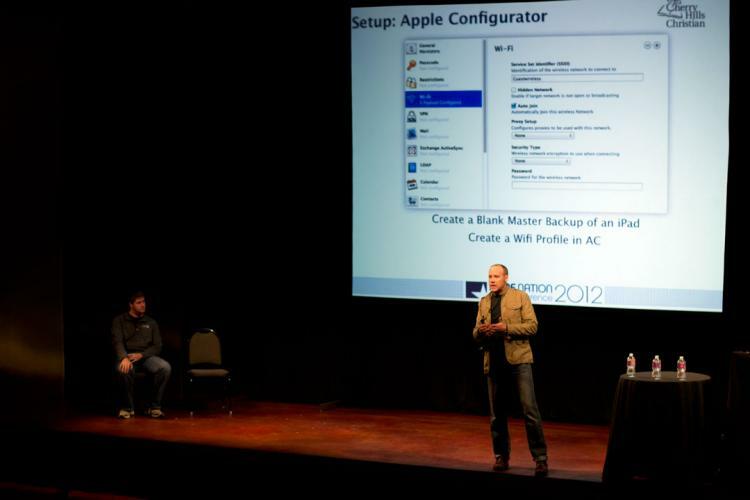 In the spirit of “and” (a revolving theme from this year’s conference), Mike Scheid, Technology Integration Specialist from Cherry Hills Christian Schools, illustrated the workflow model he and his team used to configure and deploy iPads for their school in under 90 seconds per device. Devices were first readied with Apple Configurator and sequentially enrolled in the JSS. He explored the processes between a “Personal Model” and “Institutional Model” and walked the group through the timeframe, step, and settings that lead to his success.